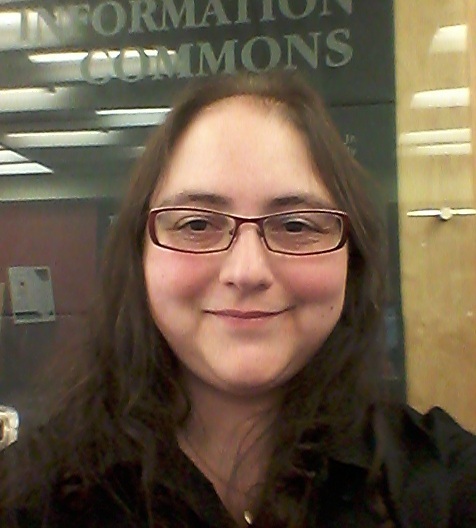 Tanya Johnson has been selected as the winner of the 2016 Student Writing Award sponsored by Ex Libris Group and the Library and Information Technology Association (LITA) for her paper titled "Let's Get Virtual: An Examination of Best Practices to Provide Public Access to Digital Versions of Three-Dimensional Objects." Johnson is a MLIS candidate at the Rutgers School of Communication and Information. "Tanya Johnson's paper on best practices for providing public access to digital versions of three-dimensional objects stood out to the selection committee due to her clear writing and practical, informative content. We are delighted to grant Tanya the 2016 LITA/ExLibris Award," said Brianna Marshall, the Chair of this year's selection committee. The LITA/Ex Libris Student Writing Award recognizes outstanding writing on a topic in the area of libraries and information technology by a student or students enrolled in an ALA-accredited library and information studies graduate program. The winning manuscript will be published in Information Technology and Libraries (ITAL), LITA's open access, peer reviewed journal, and the winner will receive $1,000 and a certificate of merit. The Award will be presented LITA Awards Ceremony & President's Program at the ALA Annual Conference in Orlando, Florida, Orlando, on Sunday, June 26, 2016. The members of the 2016 LITA/Ex Libris Student Writing Award Committee are: Brianna Marshall (Chair); Rebecca Rose (Vice-Chair); Sandra Barclay (Past-Chairperson); Julia Bauder; Elizabeth McKinstry; Phillip Joseph Suda; and Olga Karanikos (Ex Libris Liaison). Established in 1966, the Library and Information Technology Association (LITA) is the leading organization reaching out across types of libraries to provide education and services for a broad membership of nearly 2,700 systems librarians, library technologists, library administrators, library schools, vendors, and many others interested in leading edge technology and applications for librarians and information providers. LITA is a division of the American Library Association. Follow us on our Blog, Facebook, or Twitter.